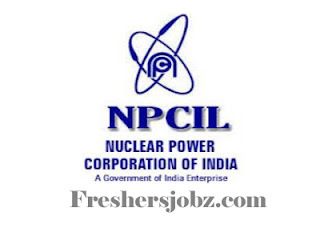 NPCIL Notification 2018.Nuclear Power Corporation of India Limited, Narora has released a notification for the recruitment of Nurse-A and Pharmacist-B vacancies.Check the eligiblity and notification prior to apply for the positions. Qualification: XII Standard & Diploma in Nursing & Mid-wifery or B.Sc. (Nursing) or Nursing Certificate with 3 years’ experience in Hospital. Age limit as on 12.11.2018: 18 to 30 years. Age limit as on 12.11.2018: 18 to 25 years. Qualification: HSC (10+2) + 2 years Diploma in Pharmacy, 6 months Training in Pharmacy. Selection Process: Based on Preliminary Test, Advanced Test, Skill Test, interview. Last date for submission of online application: 12.11.2018.